Sim Shalom, the online synagogue, keeps its virtual doors open for the summer offering weeknight Ma'ariv services. Rabbi Deborah fulfilled her childhood dream to become a spiritual leader, shepherding the Monday night services. Allow a moment to be in the moment, making the Monday service a spiritual turning point to renew, re-energize, and reinvigorate for the week. 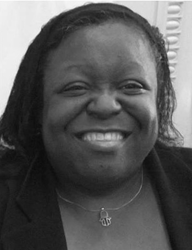 As a scientist, educator, and one of seven children raised in a close African American Jewish family in upstate New York, Rabbi Deborah fulfills her childhood dream to become a spiritual leader, and shepherds summer Ma'ariv Monday services for Sim Shalom the online synagogue, to refresh spirituality each week. Rabbi Deborah is one of six Sim Shalom Rabbis that offer Ma 'ariv week night services Monday - Thursday at 7:00pm EST throughout the summer. Shabbat services are offered every Friday at 7:00pm EST and some Saturday morning at 11:30 am EST. The services are free and interactive. With early memories of growing up having daily Shacharit and Ma 'ariv services at their home in upstate New York, Rabbi Deborah McKenzie credits her strong Jewish foundation including love of Torah, family, and Tikkun Olam to the dedication of her parents. “They didn’t have it easy, raising us in a time when being African American and Jewish was unique in the Christian, African American and Jewish communities” shared Rabbi Deborah. Living at the intersection of different perspectives allowed her family to begin building multicultural and interfaith bridges that continues to strengthen Rabbi Deborah’s faith and her Jewish tradition. Nearly forty years since her earliest memories of the family in the living room listening to her father’s deep baritone voice chanting and teaching from the Torah, Rabbi Deborah fulfilled her Rabbinic calling. She graduated from the Jewish Spiritual Leaders Institute (JSLI) in 2015, honoring her father’s memory. As she conducts the Ma'ariv Sim Shalom service, the living room conversation is now exchanged in rooms around the world with a global congregation. The online service includes a live chat feature. To learn more or participate in the free services at times above click here.